Supposedly Bumblebee is intended as a prequel to Transformers film franchise. But that doesn't make sense. Especially since the whole timeline and events differ from the original films. Now for some of you this might sound good. Because this could mean they are going back to the source, the cartoon. And at first glance it does look like that is the case. Unfortunately I will have to disappoint you. While it does seem to be more like the Transformers of the cartoon it sadly follows it's own little story. First of all when you meet the transformers you will recognize them immediately. They have their trademark appearances. Now some of them already look like the ones they changed to when on Earth but I would be severely nitpicking. And I was already glad that these Transformers at least looked the part. However Optimus Prime sends away Bumblebee to go to Earth as that will be their refuge. I know it's been a very long time I actually watched the cartoon but I do remember the Transformers crashing on Earth by accident at a time the dinosaurs still ruled the world. They never planned to be on Earth. If they would have followed this story line then everything would have changed for the better. Since that would have given the Transformers a better edge to blend in. Still, I was able to overlook this illogical plot element and follow the simple tale of a girl and her robot who both have something to learn from their friendship and the adventures they will embark on. What you will immediately notice, how significantly smaller the film is scale wise. Therefore it feels less grand and epic. Some would say that this is good and makes sense. Because if it would have been too grand then the timeline and tie in to the previous films would have been more screwed up. At this point you have to wonder why though? They don't seem to care when it actually matters. But I think the scaling down essentially is a good thing. If not for the lack of capitalization on it. Director Travis Knight doesn't go deep enough into Charlie's grief (Hailee Steinfeld) or Bumblebee's trauma. There are scenes where we are supposed to believe both characters have evolved and yet the impact of this isn't as big as it could or should have been. Then I realized that more than the others this film is aimed at a much younger audience and that they tried to keep events as simple as possible. You can tell they tried real hard to avoid kids being upset by the violence and destruction. The violence is very cartoon like and the destruction is negligible. The tale is intended to be sweet and heartwarming. And that is what you get. 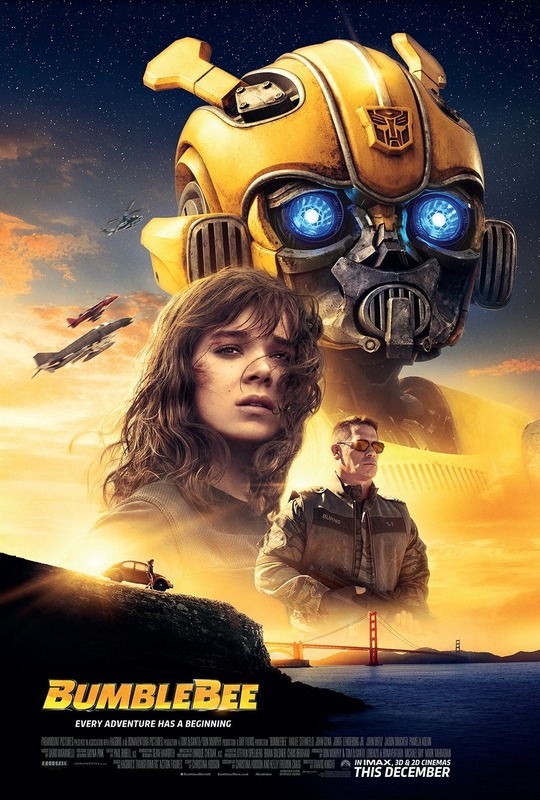 Overall Bumblebee is quite entertaining if you are aware that it's not intended for adults. And that almost every event is honed to their taste. That is either something you can appreciate or not. It does feel like it had it's heart in the good place.